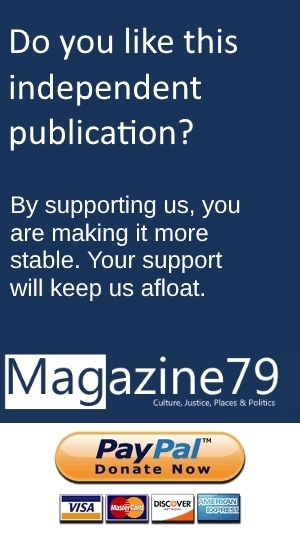 This is an opinion piece by Imanuel Marcus, the founder and editor-in-chief of Magazine79. I am German, but I have been living abroad for most of my life, and still am. From Bulgaria, I have been observing what is going on in Germany, regarding the country’s relations to its Jews and to Israel. What I saw and heard changed my voting behavior. The Social Democratic Party (SPD) did not get my vote, for the first time ever, but an angry letter instead. This was not about the center-left party’s tax, social or education policies, but about its stance on Israel. Klein is now demanding a registration office in which antisemitic assaults would be documented. And he wants to develop effective strategies for combating antisemitism in Germany. Registering antisemitic attacks, including verbal ones, is important indeed. This includes those which are criminally relevant and those which may not be. According to the official German crimes statistics, radical right-wingers are responsible for 90 percent of all offenses of this kind. But this does not really seem accurate. In reality, the imported antisemitism, seen in radical Arabic and other radical Muslim circles, is at least as bad. The second positive development is the recent replacement of Foreign Minister Sigmar Gabriel. His successor, Heiko Maas, traveled to Yad Vashem immediately after his appointment. During his inaugural speech he said he had entered politics because of Auschwitz. It looks like Maas might want to reverse Gabriel’s rather anti-Israeli course. In his Social Democratic Party (SPD), Foreign Minister Maas is an exception. Usually the conservatives are the ones who say the right things about Israel. 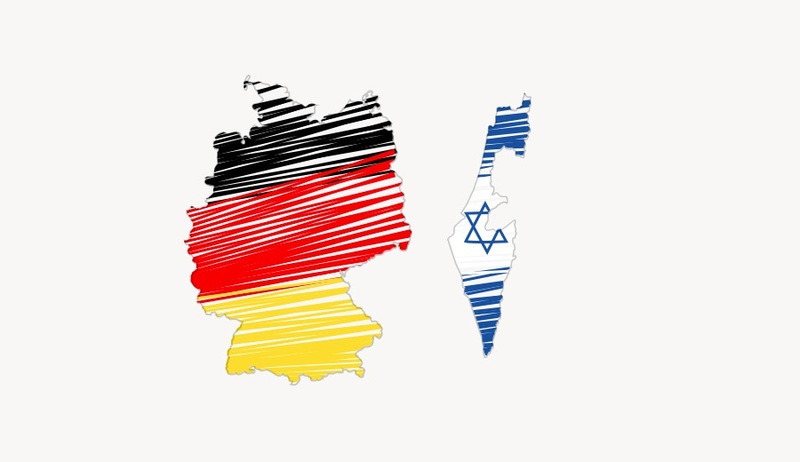 Due to the official stance of Chancellor Angela Merkel and her colleagues in the conservative Christian Democratic Union (CDU), it looks like the relations between Germany and Israel are perfect. On the surface they are. The official Germany wants to be good friends with the only democracy in the Middle East. Let’s get to the issues. One of them is a party called “Alternative für Deutschland” (AfD), which entered the Bundestag for the first and hopefully the only time, after the recent parliamentary elections. They are a radical right wing party, which mostly built (and still builds) its success on Islamophobia. Klein, the new commissioner, said antisemitism in Germany was on the rise, and the AfD had contributed to this development. He is definitely right. The AfD has made hatred against both Muslims and Jews almost “socially acceptable” by spreading ugly hate speech. For the first time since the Holocaust, German politicians have openly shared terrifying antisemitic views. One of the AfD’s leaders, Alexander Gauland, recently said Germans should be allowed “to be proud of the accomplishments of German soldiers in both world wars.” This would obviously include the Wehrmacht and the SS. Björn Höcke, one of the AfD’s stars, has said this: “We, the Germans, our people, we are the only nation which has planted a memorial of shame in the heart of its capital.” He meant the Holocaust Memorial in Berlin. The AfD has neither thrown that guy out of the party, nor has the leadership distanced itself from him. Last week, observers were in for a surprise: During a debate in the Bundestag on Israel’s 70th anniversary, AfD MPs such as Gauland and Alice Weidel suddenly said all the right things about Israel and the German relations to the Jewish state. Hell, they even uncovered the ambivalence of Germany’s stance. Mrs. Weidel mentioned the millions Germany provides for the Palestinian Authority, even though it is a known fact that a lot of it drowns in a swamp of corruption in Gaza, and another large chunk is being paid to families of terrorists who murdered Israeli civilians. Weidel also criticized the German support for UNRWA, a U.N. body which, critics say, works against Israel and against peace in several ways. So, a radical right-wing party wants to be friends with Israel and the Jews? Not really. While the AfD party itself officially states it was committed to the “Jewish-Christian cultural order”, Germany’s Jews and many non-Jews are convinced that party is the wolf in sheep’s clothing. Today, Raed Saleh, a Palestinian-born legislator and SPD politician from Berlin wrote an opinion piece in the “Tagesspiegel” daily, which is entitled “Today’s Islam Haters are Tomorrow’s Antisemites” (in German, accessible here). So, yes: There are Germans who think and say the right things. And there are people who just say the right things, in order to lure moderate voters into their hate trap. Reality in Germany includes several inconvenient truths. Walking Berlin while wearing a Kippa is not safe. The same applies to places in Eastern Germany, where the neo-Nazi strongholds are located. “Jude”, the German word for Jew, is being used as an abusive word on Berlin schoolyards. Any Jewish facilities, including synagogues and schools, need police protection 24/7, eighty years after the night of broken glass, or 73 years after the Third Reich’s General Jodl signed the unconditional surrender of Nazi Germany. This will not change anytime soon. The ambivalence regarding Germany’s relations to Israel will not be overcome while the President talks to antisemitic entities. In this role, Frank-Walter Steinmeier just welcomed representatives of the Islamic Community of Shiite Congregations in Germany at Bellevue Palace. It is an organization of Israel-haters with close ties to the Tehran regime. Of course the latter intends to “wipe out” Israel, while lying about its ambitions to build nuclear bombs. Invitations like this one are not only not helpful, but bad signs too. The behavior of Steinmeier’s successor at the Foreign Ministry, Sigmar Gabriel, was even worse. He made sure Germany’s good relations to Israel, which are actually part of the Federal Republic’s public policy, deteriorated. His Iran and PA contacts were more important to him, so he angered the Israeli government. In January, Minister Gabriel was praised by the terrorist organization Hamas, for terming Israel an “apartheid regime”, according to the “Jerusalem Post”. Luckily, Gabriel’s recent replacement, Heiko Josef Maas, seems to want to improve things in a credible way. During his election campaign, in the fall of 2017, the SPD’s recent candidate for chancellor, Martin Schulz, had called a speech by Mahmoud Abbas, also known as Abu Mazen, “impressive”. This sounded like he liked the part in which Abbas accused Israel of poisoning the drinking water for Gaza. All of this, and more, was part of my angry letter to the SPD candidate. By the way: Yesterday, the same Abbas said the Jews were responsible for the Holocaust. My complaint letter would have sounded somewhat different today, since Foreign Minister Maas just rejected Abbas’ latest statements, by saying Germany would not accept any relativization of the Holocaust. “Germany is responsible for the most cruel crimes in history of mankind”, Maas said. But there are more issues. In spite of assuring the world how close it is to Israel at every opportunity it gets, the German government’s voting behavior at the General Assembly of the United Nations does not look friendly at all. Neither does the fact that Germany lets Kuwait Airways pursue its antisemitic policy. The airline is denying service to holders of Israeli passports. In November of 2017, a German court ruled that policy was within the rights of the company. Of course the government could just kick out Kuwait Airlines by revoking their permission to land at German airports. But there is no sign for intentions of this kind. And what about the capital? While President Trump has taken one single right step during his presidency, when he decided to move his embassy to the actual capital of Israel, and while Guatemala was the first country to raise its flag in Jerusalem today, Berlin refuses to do so. At the Foreign Ministry in Berlin, Undersecretary Niels Annen reiterated the country’s position according to which all states have the right to choose their capital. Apparently, there is one exception: Israel. “The status of Jerusalem can only be determined in Israeli-Palestinian negotiations”, Annen stated. The problem: The Palestinian leadership does not want negotiations or peace. But it does want Germany’s money for terror salaries and palaces. Yes, Chancellor Merkel and many other government officials want to support Israel. The secret is to actually do it, wholeheartedly. Not only would this approach help Germany’s good friend Israel, but it would also put those under pressure who have been fighting peace for decades, and show them what their policy of hate, terror and denial leads to. Putting Israel in a position of strength is the way to improve chances for new talks. In the meantime, commissioner Klein has a lot of work to do. As it turns out, antisemitism, no matter in what form it comes along, is not just wrong, but also plain sick. In an interview with the German “Zeit” weekly (in German), the social psychologist Sebastian Winter said, from a psychoanalytic perspective antisemitism was a delusional sickness. It is time for Germany to cure it conscientiously.